SkyPoint Climb is Australia’s highest external building walk and is the newest adventure experience on the Gold Coast taking climbers on a guided journey reaching 270 metres into the sky atop the iconic Q1 resort building. A 90 minute intimate experience for a maximum of 10 guests per group, SkyPoint Climb takes each group on a walk among the clouds where they admire unobstructed 360 degree views of Queenslands beautiful South East region. Starting on the ground floor at Mission Control, Climbers receive a full safety briefing and are fitted with their full body Climb suit and harness, before stepping into one of Australias fastest elevators for a 43 second journey to SkyPoint Observation Deck, 230 metres above the ground where climbers set off from. Walking along the glass crown which frames the top of the Q1, Climbers can enjoy the security of an internal hand rail that guides them up to the summit whilst the more daring can walk along the edge of the Climb experiencing the heart racing thrill of a 270 metre sheer vertical drop. The awe-inspiring open air experience, offered during the day and at twilight for a magnificent sunset view, includes a guided Climb tour, complimentary group photo, certificate, signature Climb cap and entry to SkyPoint Observation Deck. Weather is considered for each Climb and poor conditions may result in temporary Climb delays. 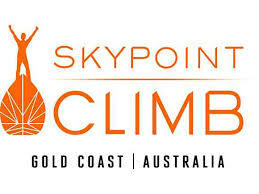 SkyPoint Climb participants must be 12 years and over, and participants under 15 years must be accompanied by an adult.